One of the calmer and quieter temples in Bagan, the Dhammayazika Pagoda is a temple which you should definitely visit if you are in search of serenity. The temple is situated in perfect location and the view you'll get once you’re here is just spectacular. If you’re a photographer, then the view will surely catch your fantasy. If you are an art lover, then the colourful mural paintings inside the temple will please your eyes. Overall, a great place for traveller of every kind. How popular is Dhammayazika Pagoda? People normally club together Mt. Popa National Park and Nandamannya Pahto Temple while planning their visit to Dhammayazika Pagoda. 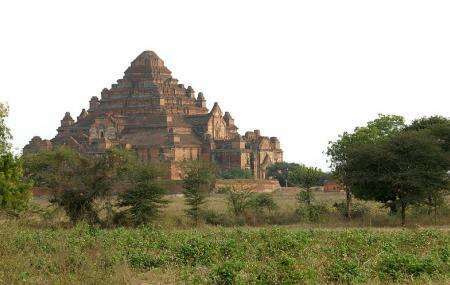 It's a one of the many temples in Bagan. Nothing much different from other temples but it has a beautiful garden. A little bit far to get there when compared to other temples. One of the five "MakeYourWishComesTrue" pagoda in Bagan. PS. Pray only one wish in those five pagodas. Don’t miss it just because it’s far. It’s one of the nicest pagodas.